Elsevier is one of many publishers that began opening manuscripts on our platforms this month for US Department of Energy grant recipients. These efforts are coordinated by CHORUS — the Clearinghouse for the Open Research of the United States — established by the publishing industry to help funding bodies implement policies on public access (as open access is often known in the US). For global Open Access Week, we share information about CHORUS and take you behind the scenes to show you how we’re implementing it at Elsevier. Back in 2013, the US Office of Science and Technology Policy tasked federal agencies to come up with a plan to ensure public access to the articles and data which result from federally funded research. A year later, and on a very fast track, an ambitious plan started by a group of scholarly publishers was already up and running. It’s called CHORUS. The researcher submits his or her research to the journal of their choice. After peer review and acceptance, the manuscript continues through the journal production system to be edited and formatted and marked-up. Funding and grant information is attached to the article as metadata. The manuscript is also retained by the publisher. The publisher registers a DOI link for the article, and shares the article metadata with CrossRef. The DOI link and metadata are discoverable so anyone can locate the article through a general search engine, agency portal, CHORUS, or library system. Readers who follow the link are directed to the best available version. Readers of an open access article, or a researcher affiliated with a subscribing library, will see the final version of the article. Others will see the full-text of the manuscript after any embargo expires. Dashboards are provided by CHORUS to funders, publishers, and institutions so everyone can easily monitor public access, rather than having to track down each individual paper one by one. All content made available is permanently archived in existing systems such as Portico and CLOCKSS. CHORUS stands for the Clearinghouse for the Open Research of the United States, and it does what it says on the tin. It joins together infrastructure so the public can search and access federally funded research. It provides tools so funding agencies and publishers can track what is happening. And it does so in a way that is cost-free to the federal agencies because it re-uses existing infrastructure from the publishing community. Building on this framework reduces duplication of effort while widening access, compliance, discovery, and preservation of peer reviewed articles that report on research funded by the US federal government. 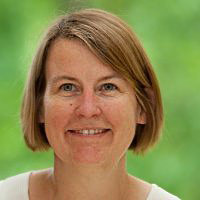 Susan Spilka, Marketing and Communications Director for CHORUS, said their goal is to establish a technology framework and community of publishers, publishing service providers, funders, and others in the scholarly community who are interested in developing sustainable public access. “By leveraging existing widely used technologies, we are able to facilitate discovery of and access to articles reporting on funded research, while providing compliance transparency and balancing diverse, sometimes competing needs,” she explained. It is the individual researcher’s obligation to comply with the requirements of their funder, and often they must try and make sense of varied policies and procedures. Complying with these policies and procedures is increasingly linked to the possibility of future grants and professional evaluation, so it’s important to get right – but also challenging and time consuming. A central CHORUS value is that researcher time, effort and money should go into what they love and do best: research. So rather than duplicate effort, or burden the researcher, CHORUS offers an automated way to enable public access to research. Publishers who already hold an author’s accepted manuscript make the best available version of an article accessible. By agreement between some funders and publishers, CHORUS ensures that the articles will be made available in perpetuity. CHORUS works because of this collaboration. Collaboration with libraries is important too. CHORUS and SHARE were both stimulated by the creation of public access policies in the US. CHORUS leverages existing infrastructure to facilitate public access to articles, ensure digital preservation, enhance discovery, and report on compliance. SHARE has developed a Notify service to inform interested stakeholders when research release events occur, including the publication of articles and the dissemination of research data. And indeed they are working together and using similar standards – e.g., DOI, FundRef, ORCID. For Elsevier, CHORUS is a natural complement to our broad array of access initiatives. We’ve been making gold open access content available on ScienceDirect for 10 years, and CHORUS enables us to complement this with selected green open access content too. To identify articles reporting on federally funded research, we check the acknowledgements section of articles accepted for publication. Once that is done, Elsevier makes the article metadata available to common search tools to ensure they are publicly discoverable. 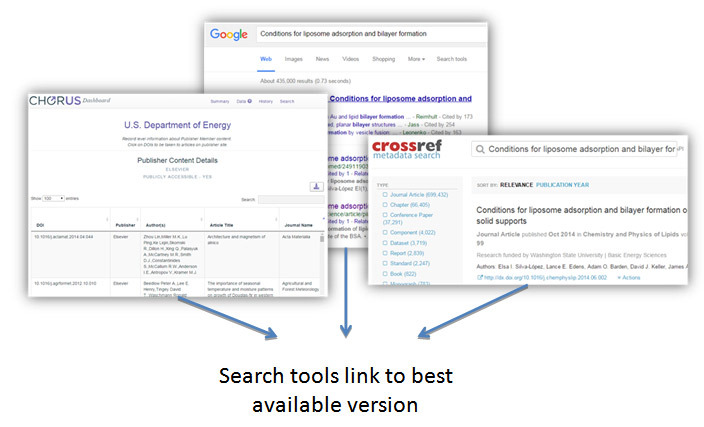 These search tools link to ScienceDirect where the best available version is determined. Subscribers to ScienceDirect are directed to the final article, or Version of Record. Members of the public who access to ScienceDirect are directed to the accepted manuscript. 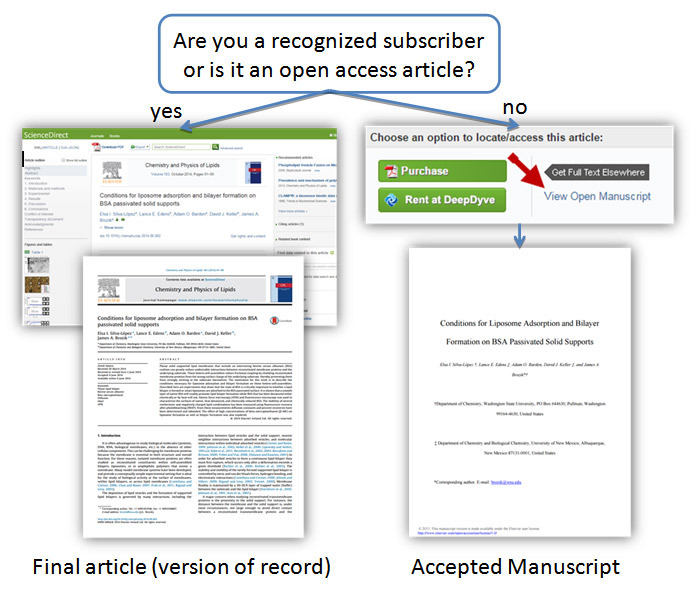 Open access articles are always available as final version, or Version of Record. 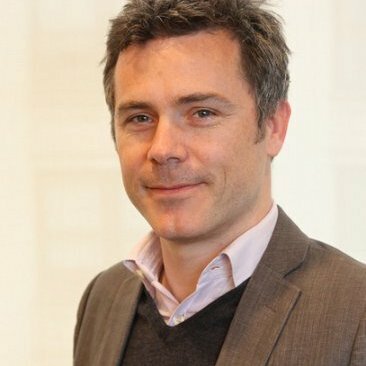 As Head of Open Access on ScienceDirect, Steve Watson focuses on adapting the ScienceDirect product offerings and business models for open access. He is based in Amsterdam.